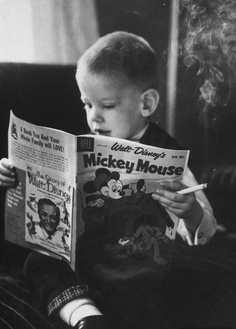 Mickey Mouse would never smoke,kiddo! Reading is a great habit,Wearing suits and Man up is totally OK with me but smoking is not. Interesting shot! Love is in my Shoes,Obviously.